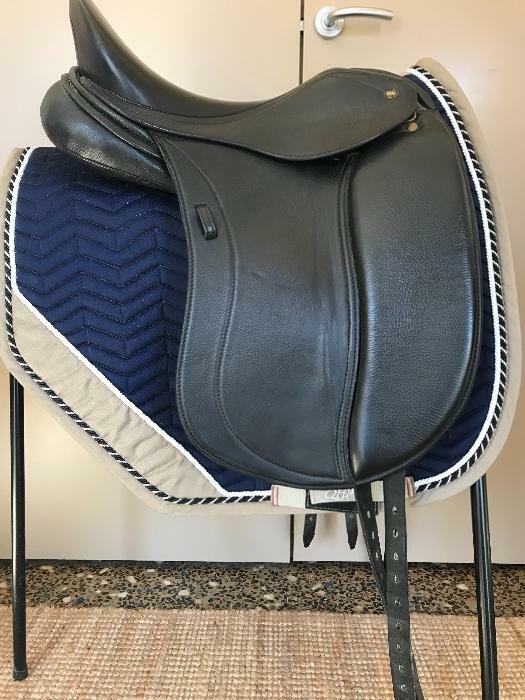 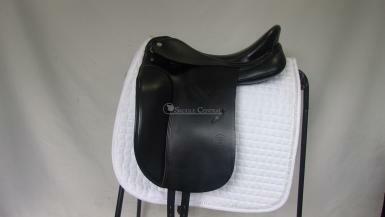 Made in 2010, this saddle has had minimal use and is in great condition. 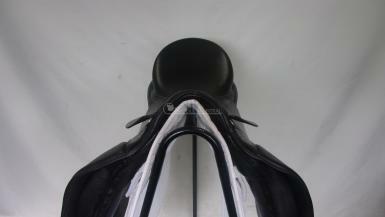 This is the popular shoulder freedom model, with the front panel cut away to allow uninterupted shoulder movement. 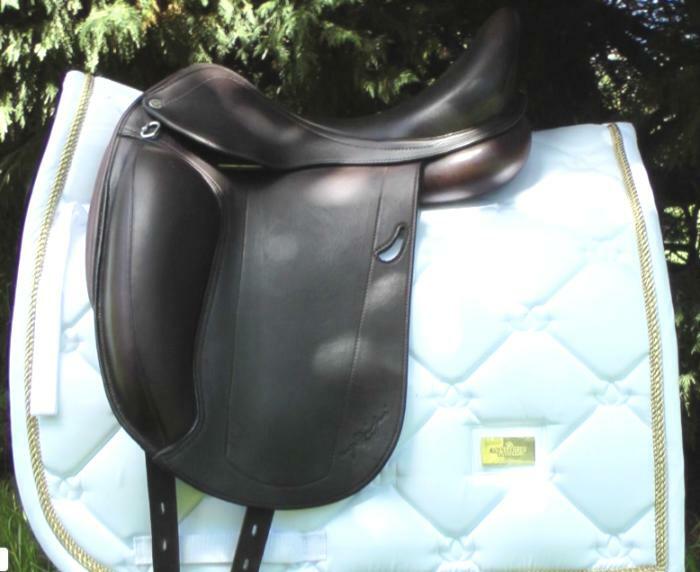 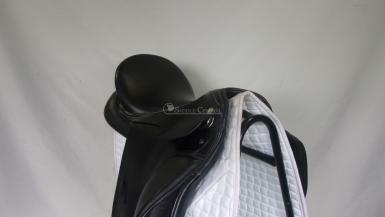 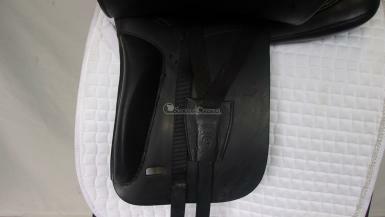 A deep seat and large knee block ensures that the rider can sit to the larger movement. 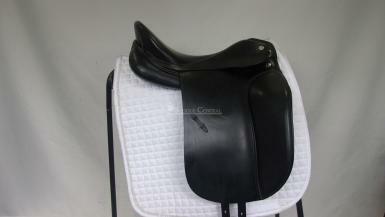 Otto Shumacher saddles are made in Germany using quality leather and skilled craftsmen. 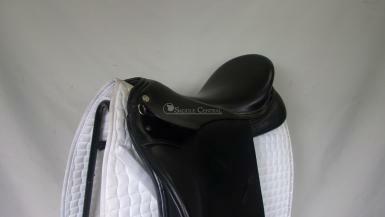 Wear/Damage: minimal wear on flaps from stirrups, minor scuff on cantle, too slight to see in pictures. 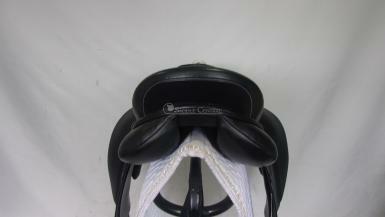 Adjustable Gullet/Tree: Adjustable by saddler. 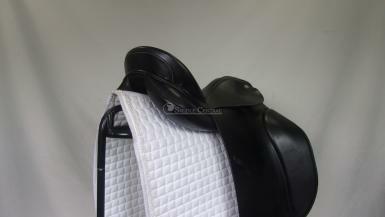 We recommend adjustments are made by Hannovarian Riding Wear, we can arrange for it to be altered prior to posting.